We all know the struggles of student life – pulling an all-nighter to get a last minute assignment in, and living on two minute noodles because you spent all your money going out last weekend. But with a bit of a plan, you’ll be able to leave yourself with a few extra dollars to treat yourself to a mocha and a trip to the movies every now and then. In New Zealand, there are a lot of discounts available for uni students! Use your student ID card to get discounted movie tickets, clothing and public transport. Take advantage of this and carry your ID card with you everywhere. There’s Niesh, an awesome free student app which gives you exclusive discounts on food, travel, sport and more! Also, If you’re a shopaholic and you can’t give this up, join UniDays! All you need to make an account is your student ID card. There are discounts on hundreds of different brands, so you’ll save on clothes, beauty products and even tech. As we come into 2019, 21st century babies start turning 18, which means many will be starting uni. If you’re part of this generation, you have the advantage of technology and the web. Something your parents didn’t have when they were students. You can save money on things like alarm clocks and recipe books. You don’t need to buy things like this anymore if you have a smartphone (which presumably most do), as there is an app for everything! Wifi! Something millennials can’t live without. For uni you’re going to need a lot of wifi for research, studying, and of course, procrastination; so you can watch Netflix and scroll through Instagram. The problem is, many students spend more than they need to when it comes to wifi. Most just go with one of the big names they’ve heard of, or take up the student accommodation wifi, but this isn’t always the most cost effective, fast or reliable option for poor uni students. If you’re on a uni student budget, do your research to find cheap wifi deals! This way, you’ll make sure you find the right fit for your internet needs, without breaking the bank. After all, you’ve got to leave some leftover cash for student night, right? Wireless Nation has the only unlimited 4G wireless in Auckland CBD which is proving extremely popular with students. If you’re really trying to scrimp, try cutting your phone data plan. Do you really need 3G? Get a cheap Wifi deal for home, and while you’re out and about, use uni Wifi or free hotspots. It can be difficult when you’re on a uni student budget, and there are things you simply need (or just really want) to buy. This is when buying things second hand can be very handy (pun intended). Take textbooks, for example, which can be very expensive. Luckily, us Kiwis are always helping each other out. Check out uni groups on Facebook where students sell second hand textbooks, and you’ll save a lot. New Zealand also has a wide variety of op shops where you can pick up clothes, furniture and other household goods for as little as a few dollars sometimes! When living on a uni student budget, it is a good idea to jot down a budget plan and actually try and stick to it. First, consider how much money you’ll have coming in. Think of your part-time job, student allowance, course-related costs and student loan. Once you’ve made your plan, try and stick to the budget. Avoid going overboard with eating out, drinking and festivals, as you might find yourself short on fixed costs like rent. A lot of students leave home and eat out every day because they don’t have their parents to cook for them anymore. But this is your first mistake! You’re on a student budget now, so if you haven’t cooked before, it’s time to search ‘how to cook’ into youtube now, as eating in will save you a lot of money! If you’re not a fan of standing over the stove everyday, it’s a good idea to cook bulk meals and freeze them. This way, when you’ve blown all your cash on a night out or the pantry is looking a bit bare, you can defrost a meal. In New Zealand, we have a number of fresh produce markets where you can pick up cheap fruit and vegetables. If you’re on a uni student budget this will be more cost effective than the supermarket. So load the flatties into the car and make a day of it! All in all, being broke at uni is all part of the experience of being a student! Follow any student page on Facebook, and you’ll see that there are thousands of other students out there who are also living on two minute noodles, and watching Netflix when they have a 30 page assignment due tomorrow. From learning your way around a kitchen, to finding second-hand bargains, we hope these 6 tips will help you live your best student-life. And hey, you might even be able to scrimp long enough to graduate! 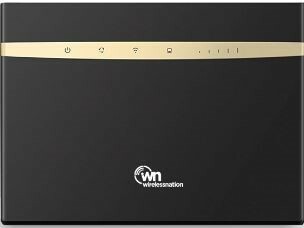 Check out Wireless Nation’s unlimited 4G wireless package designed for students.